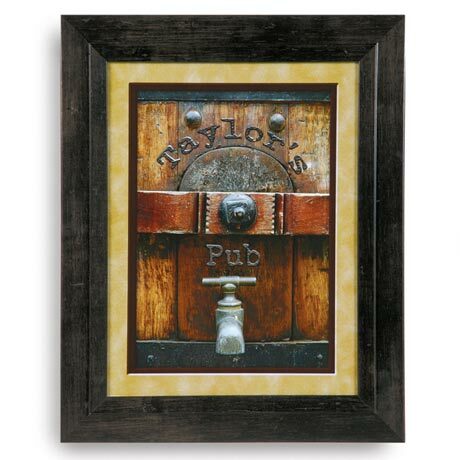 The perfect finishing touch to your great room or home bar. Framed in wood under Plexiglas®, the photo shows an old-fashioned beer barrel with metal letters that spell out your name (or any name you choose). Made in USA one at a time, it's a great gift for the beer drinker you know. Specify up to 10 characters including punctuation. Allow 2-3 weeks. No rush delivery or gift box. Item can only be shipped within the Continental US.